Question: What are some of you Fall 2017 Picks? I have been so laser focused on catching up with my ARC’s and reading what I already have that I haven’t looked to see what was coming out. * I’ve heard that this one is amazing! * I just found out about this one the other day. I love the idea of it playing against YA tropes. * I adore K.J. 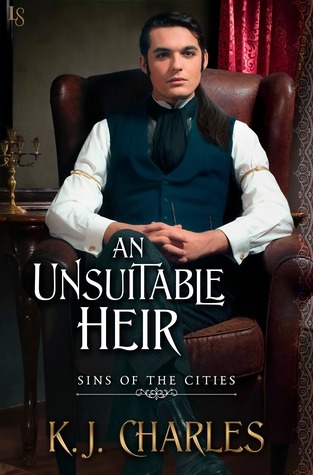 Charles M/M historical romances and this is the conclusion of her Sins of the Cities series. Charles is an auto-buy comfort read author for me. * I’m not even sure if this is my kind of book but I’ve found myself repeatedly drawn to it and I have another of the authors books already so what the heck. Add it to the list! * My other favorite auto-buy, comfort read author. Albert’s books make me super happy and lucky for me she’s a prolific writer! This is a great M/M military romance series as well. I definitely want to check out Autoboyography - wow, typing that is kind of a lot - look forward to comparing notes! PS Hope Hurricane Irma stays far away from you! I've heard really good things about it so far. Those look like good choices. These all look like good reads. I haven't read Annabeth Albert for a long time and should probably pick up her work again soon. Enjoy! The Beautiful Ones is on my list, too! I absolutely loved Silvia Moreno-Garcia's novel Certain Dark Things and now I'm eager to read anything she writes. I have Certain Dark things but I haven't read it yet. Oh, I'm so ready for Wheels Up. Love Albert's books. I'm really curious about Autoboyography - so I'm happy to hear you heard it was good. Yessss! I just got approved for it so I can't wait to read it! All of these are new to me. I need to do some research! Thanks for sharing. Ooo, that K.J. Charles is calling my name. I am currently not looking at new books in order to get caught up and stay focused on Halloween Bingo @ Booklikes. We'll see how long I hold out . . . I still need to try KC Charles and Annabeth Alpert's books. I love that they are autobuy comfort reads for you. Nothing has me curious, too. Didn't know about that one. I KNOW you would love Annabeth's! oh these look like a great list. I have been hearing some great things about KC Charles!! Enjoy. Nothing is one that I might want to get, I like the premise. I would be fun if it truly subverts the YA tropes. I'm very curious. The cover for Autoboyography is so cool! I keep seeing The Beautiful Ones a lot. I thought it was out already. Lol oops. Also a nice cover though! It looks a lot like Gail Carriger's YA steampunk series covers so maybe that's why. Thanks so much for sharing! I haven't heard of any of these books but Autoboyography and Nothing in particular sound very interesting and up my alley. Always looking to step away from the norm and dive into something else (and YA; I just don't do enough of!). I'm reading the Marriage Pact which is a really interesting thriller--SUPER entertaining if you're looking for a new rec, too! I've been just starting to dabble with thrillers so thanks for the rec! It's crazy to be talking about fall already. lol Hope you enjoy all of your reads as they arrive!